Our university decided that we should see a bit more of China and they were right. At the beginning of November we went to a town in the neighboring Jiangxi province. The university hired a coach and a couple of guides and off we went. 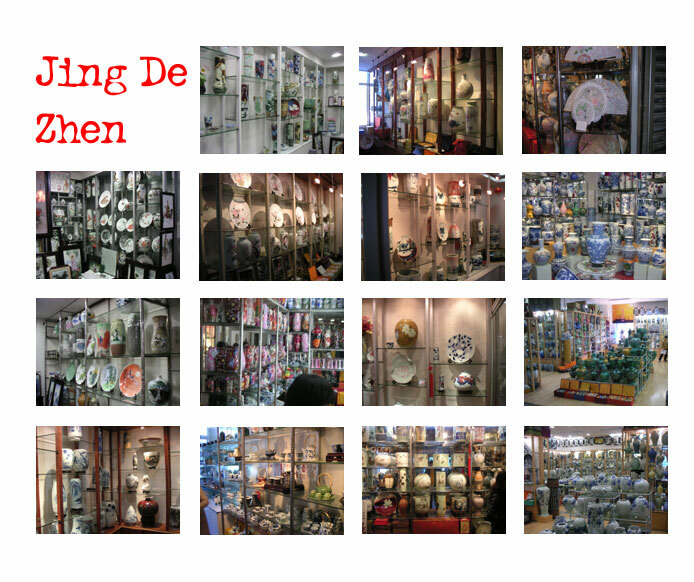 Jing De Zhen is famous for its porcelain. Although we didn't see any of it being made, we certainly saw lots of it being sold. However, the most interesting part of the trip was the villages we called in at on the way. The three we saw were Li King, Jang Wan and Wan Yuan. Jang Wan has clearly benefited from being the home village of Jiang (or Jang) Zemin, the last president of China who continues to head the military in China. You can see some (though I say so myself) rather beautiful pictures of them below and by clicking on these links.